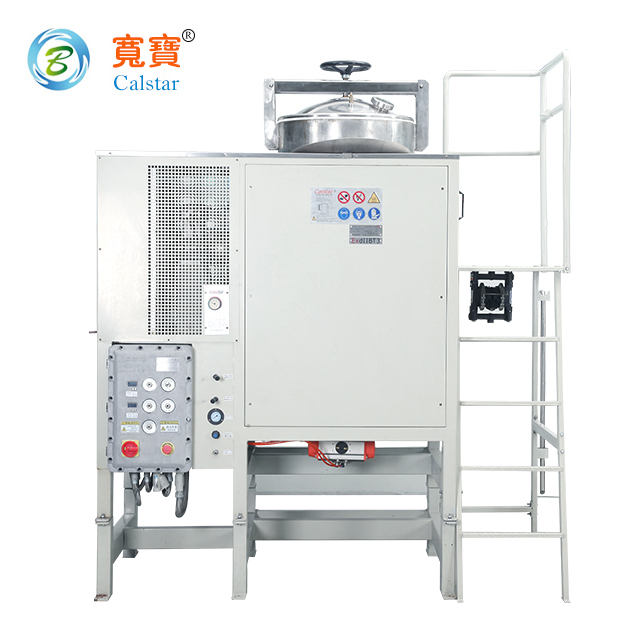 A425Ex, Alcohol distillation equipment ethanol Recovery Machine, is complied with Chinese explosion-proof standard (CNEX: Ex d IIB T2 Gb, certificate No. CNEx16.2112X) and European standard (ATEX). Automatic imput system is for easily solvents imput. 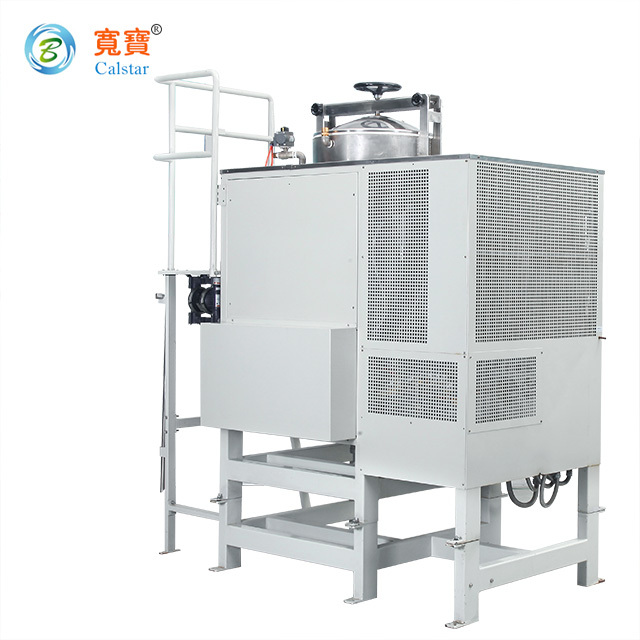 Double layers tank ,air-cooled condensing system, safe structure are special designs included. After distilling and cooling for proximate 4 hours, waste solvent will be purified and ready to reuse. 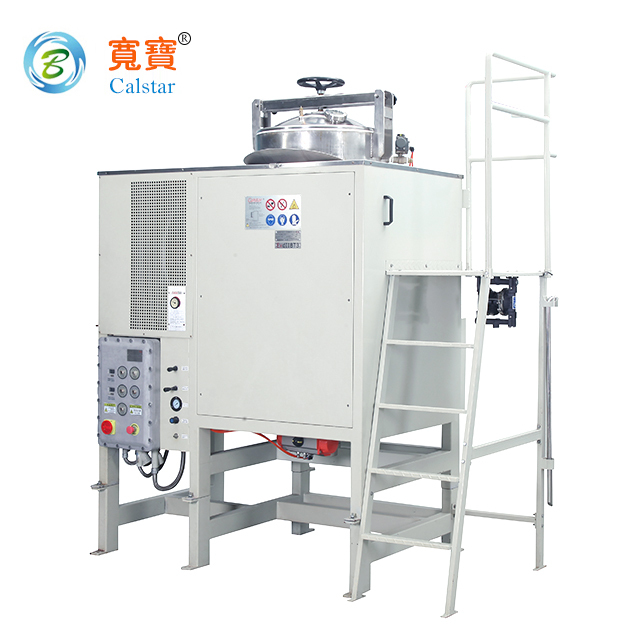 A425Ex is suitable for large amount of organic solvent recycling. NOTE: Values listed above are under ideal conditions in laboratory, just for your reference. The realistic data will be a little deviation due to the difference of waste content, boiling point of solvent, room temperature, viscosity etc. 1. Aromatics categories: toluene, xylene, mesitylene, etc. 2. Aliphatic hydrocarbons: pentane, hexane, octane, etc. 3. Alicyclic hydrocarbons : cyclohexane, cyclohexanone, toluene and cyclohexanone, etc. 4. Halogenated hydrocarbons: chlorobenzene, dichlorobenzene, methylene chloride, trichlorethylene, etc. 5. Alcohols: methanol, ethanol, isopropyl alcohol, etc. 6. Ether: ether, propylene oxide, etc. 7. Esters: methyl acetate, ethyl acetate, butyl acetate, etc. 8. Ketone: acetone, methyl ethyl ketone, methyl isobutyl ketone, etc. 9. As well as other organic solvents that are not listed. 1. Nitrocellulose (nitro), and oxidant solvents and other hazardous materials. 2. Strong acid or strong alkaline solvents. 4. Pairs of stainless steel or brass with a strong corrosive solvent. ● Standardized production, stable and durable quality guaranteed. ● Tilting-type: gradually tilting and pouring out waste residue which is easily removed. ● SUS304 stainless steel tank is used to prevent chemical corrosion. Two layers design, reinforcement barrelhead design, precise temperature control, explosion-proof, anti-leakage are made for safer operation. ● Heating Method: heat medium (heat transfer oils) indirect heating. ● Digital heating temperature controller: advanced numerical display, accurate and convenient heating temperature control. ● Multiple operational safety protection functions: power off or power on by timing or temperature pre-set, excessive temperature protection features; high-voltage protection function; power failure protection function. ● Short reclaiming process, simple operation. 1. Seaworthy standard wooden box. 1. 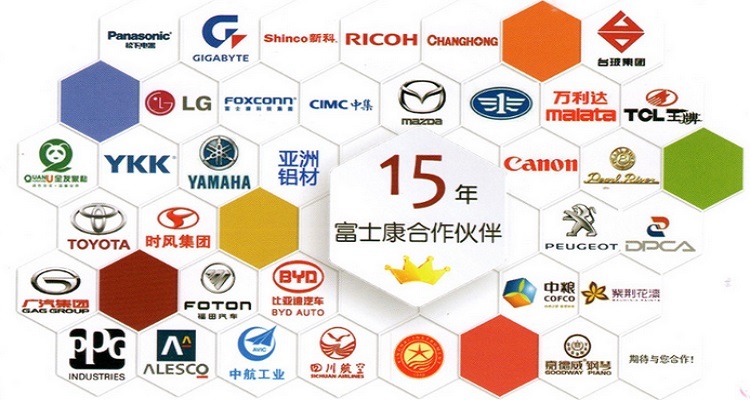 15 days after payment if equipment in stock, or 30 days after payment if equipment customized. 1. Quick response within 3 hours. 2. 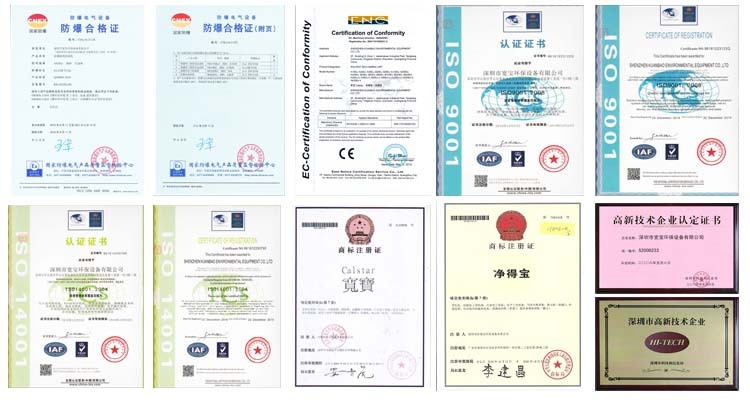 Products with international certificate. 3. Products 100% QC checked before shipping. 4. Three-year warranty for completed machine except Heat transfer oil, Gaskets and switches. 5. Customization and Buyer label offered are available. 6. providing professional solution of solvent recovery. 7. providing solvent sample analysis and optimizing solvent formula for free. 9. Pre-sales inquiry and consulting. 10. On site installation and operation training after sales while Volume of machine is 200L equal or above. On the contrary, video of installation and operation training provided. 1. How long does your warranty last? 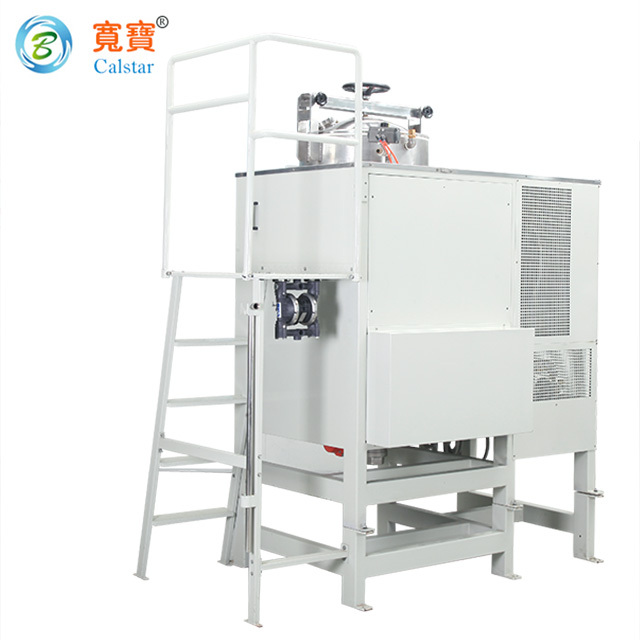 It lasts three years for completed machine except Heat transfer oil, Gaskets and switches. 2. Can you do OEM? Yes, OEM and buyer label offered are available. 3. What certificates are your products in compliance with? Our products are in compliance with Chinese Explosion-proof standard(CNEX), European standard(ATEX) and CE. And our company has passed ISO9001 and ISO14001. 4. What kinds of payment do you accept? L/C and T/T are both acceptable. 5. What is your lead time? 15 days after payment if equipment in stock, or 30 days after payment if equipment customized. 6. What is the package? Is it reliable? We use seaworthy standard wooden box. It`s fairly reliable. 7. Are free spare parts available after sales? Yes, free spare parts are available within warranty. And fare of spare parts will be charged after warranty expired. 8. What would you do if breakdown happened with your machine? We will send our professional engineer to solve this breakdown on site if it is severe and impacted the main function of machine. In this situation, we may have to negotiate some charges. On the contrary, if the breakdown is unimportant, and won`t impact main function of machine, video call will be enough. Looking for ideal Stainless Steel Solvent Recovery Equipment Manufacturer & supplier ? We have a wide selection at great prices to help you get creative. All the Large Solvent Recovery Equipment are quality guaranteed. 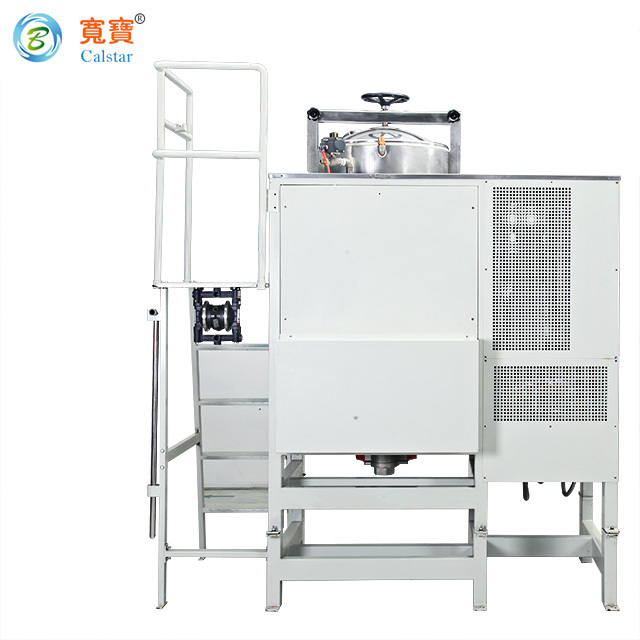 We are China Origin Factory of Large solvent recovery machine. If you have any question, please feel free to contact us.